Do you love pizza? Do you love Christmas music? Well then keep on reading! 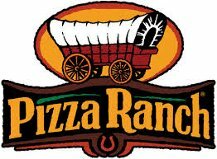 Pizza Ranch has teamed up with some amazing voices and is selling Mercy Me It’s Christmas! at all of it’s locations starting November 1st for just $5! Or if you decide to purchase $25 or more in Pizza Ranch gift cards they will give you a copy of the CD for free! Just think how nice it would be to gift someone Mercy Me It’s Christmas! and a gift card? I know I would love to receive a gift like that this holiday season. Me It’s Christmas! is like? 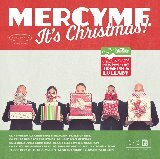 It’s a mix of Christmas songs and original Mercy Me songs all put on one CD. It’s a wonderful CD to have playing while you are wrapping presents, addressing those Christmas cards or even having a get together. Oh I forgot to mention, you’ll receive 4 bonus tracks on the Mercy Me It’s Christmas Cd but only if you buy it at Pizza Ranch! Here’s a little sneak peak at the album. See what I mean? It’s just beautiful music! So hurry over to Pizza Ranch and pick up a copy today OR enter below for a chance to win a copy!